The Appellation d'Origine Contrôlée is a French term to designate a product of which the entire production process is conducted with recognised know-how from the same geographic area, which gives the product its characteristics. The Appellation d'Origine Protégée is the EU equivalent, in French, of the AOC. It protects a product in all countries in the European Union. 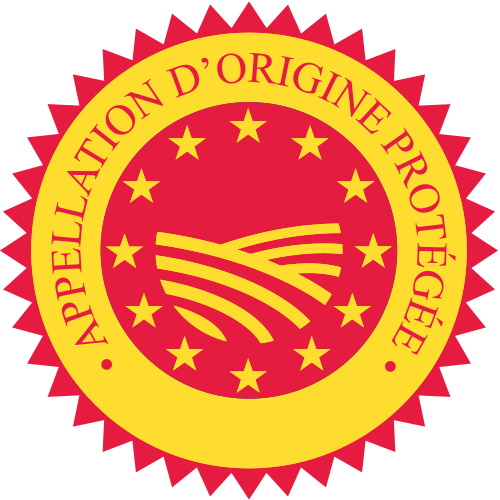 The English-language equivalent of AOP is PDO (Protected Designation of Origin). In the late 19th century, when world trade began growing, a political will emerged in France to protect the reputation of the country's products with a collective sign: this was called the Appellation d'Origine Contrôlée (AOC). In a 1935 law on wine-market protection, the government created the Appellation d'Origine Contrôlée for wines, and set up the body tasked with defining, protecting and inspecting the wines that would be awarded this label. The French policy to promote agricultural products inspired the creation of EU regulations. These aim to harmonise the regional labels: the AOC, for example, now has a European equivalent, the AOP (or PDO, in English). Since 1 May 2009, the AOP label (or other-language equivalent) is shown on all European products which are produced, processed and finished in a defined geographic area, using recognised know-how and to a specific specification. Since 1 January 2012, in order to clarify what is offered to consumers, such products must only display the AOP label - with the exception of wines, which in France can show the AOC label. A defined geographical origin with its own geological, agronomic and climate characteristics. Production conditions that stem from a culture and a history, and which take account of unchanging local customs. Analytical and organoleptic examination of the products, overseen by the INAO. This marked the culmination of representations made by the local olive-trade body, the Syndicat Interprofessionnel de l'Olivier de la Vallée des Baux de Provence, to the INAO to gain recognition for the distinctive character of the local products; and to promote traditions and age-old savoir-faire in olive-farming. 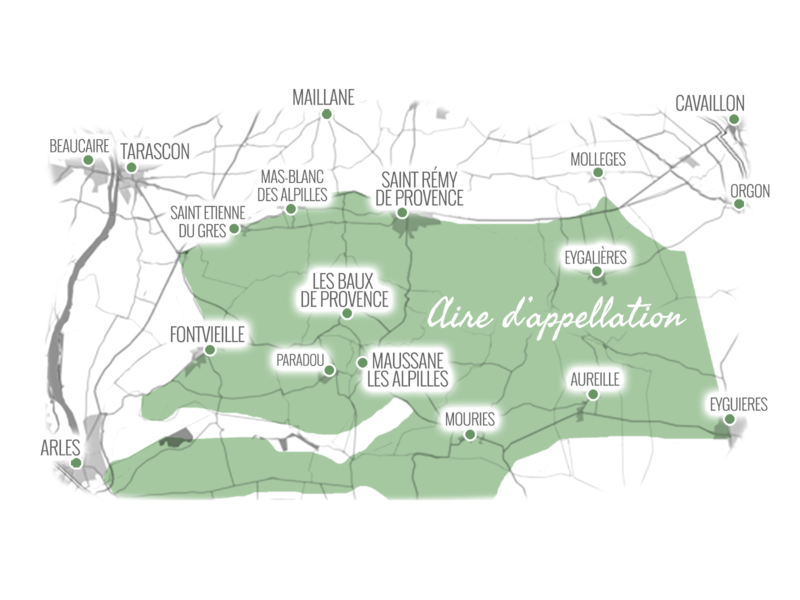 The AOP area covers 1,700 hectares (about 4,250 acres) in the northeast portion of the Department of Bouches du Rhône, in the heart of Les Alpilles. This limestone hill range, which rises to 498m altitude, runs for about 30km between Arles in the west and Salon-en-Provence in the east. The soils contain pieces of limestone, which allow natural drainage conducive to cultivating olive trees. a certificate of approval has been awarded by the INAO after a judges' tasting and sample analysis. 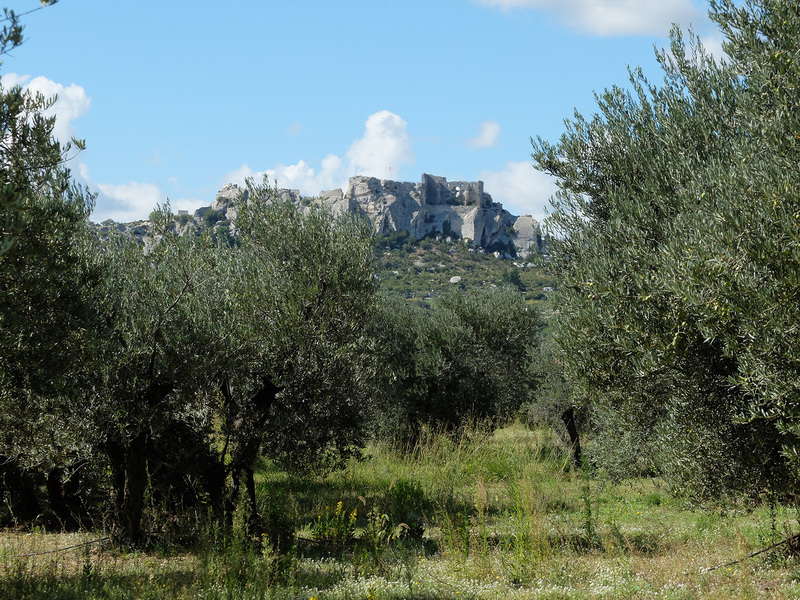 "relative to the AOP for olive oil in Les Baux de Provence here"